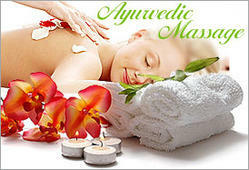 Ayurvedic massage is a set of massages that originated in ancient India. These massages have a soothing and relaxing effect on your body particularly helpful in renewing your physical strength and vigor. It involves the use of a predefined set of massaging techniques and certain essential oils that are beneficial to the body. Physical and mental endurance levels are raised through regular massaging. Ideally located near Arjuna penance, inspired by the cultural splendor and picturesque carving beauty, we are known for the relaxed atmosphere. Reflecting the traditional lifestyle of coastal villages our hotel is designed to harmonize with the natural and cultural environment. This beautiful bay, which stretches as far as the distant horizon, is an invigorating setting for both mind and body.Whether you're looking for a peaceful, relaxing vacation or a fun-filled family getaway, our breathtaking resorts provide the perfect setting to make new memories. We welcome you to forget your routine and enter a place where you can experience well being and serenity.